If you’re planning on flying to the beautiful European city of Prague this year then you should be starting to think about your mode of transportation to your hotel or holiday rental from the airport. The airport in Prague is situated 15 km outside of the city and will generally take you around 25-30 minutes to reach the centre. To help make your decision easier, here are some of the best and easiest ways to complete your airport transfer when you land in Prague. 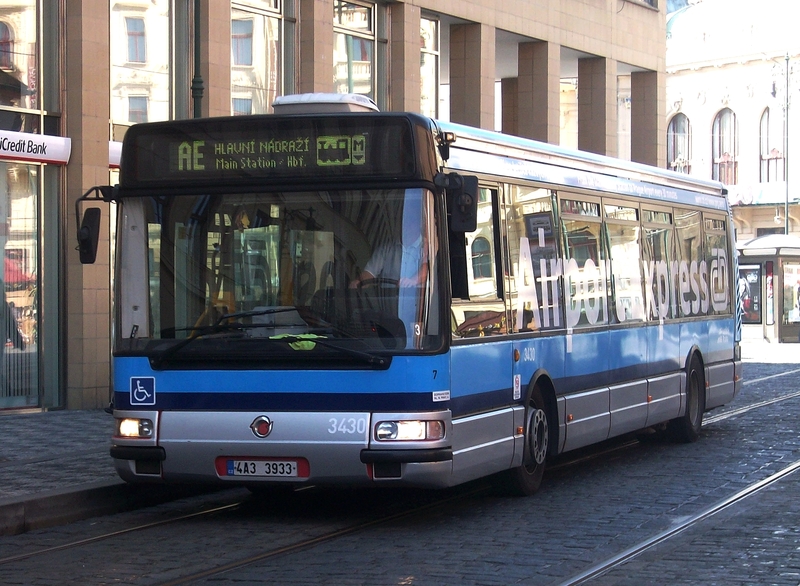 The only public transport option available to you from the airport is the bus, whilst Prague does have a train and metro service in the city, the lines do not stretch as far as the airport. The busses leave the airport every 30 minutes heading for the city centre and cost 65CZK which is just under $3. The journey will take anywhere between 30 to 40 minutes depending on traffic and the busses are both safe and reliable. Arranging a private transfer from the airport is one of the best options as you will receive a personal service and be taken directly to your hotel or location of choice. There are numerous companies based in Prague that offer excellent quality and service for your money and of all the Prague airport transfers available, a private car that will take you door to door is absolutely worth paying a little bit of extra cash for. Many of the companies will send you emails and text messages upon their arrival and they will be waiting for you in the arrivals area of the airport which will save you the time of waiting for a bus or a taxi. Costs vary based on the companies but on average will cost around 500CZK or $20. The taxi service in Prague is safe and secure and there are plenty of them about, simply head outside the airport to the taxi rank and wait your turn. The taxi drivers in Prague are friendly and helpful for tourists and will usually give you some sage advice about what to do and not to do in the city. Taxi costs are similar to that of private transfers and range from 400-600CZK or $16-$24. There are two other options for airport transfers from Prague which is the airport bus that goes directly into the centre of the city every hour and the private shuttle busses that head to different areas of the city. Both busses have desks inside the airport where you can buy a ticket to wherever you are heading and the services cost around 100CZK or $5. The only slight disadvantage of using these services is that they will not take you to your location of choice, only to particular areas of the city so you may need to walk or take a taxi for the final part of the journey. If you are staying in a hotel in Prague then it is absolutely worth checking out whether the hotel themselves offer a transfer service. Not all hotels do this but many do, some will charge a fee of anywhere from 500 CZK upwards however many will offer this service for free so ensure you ask the question before you arrive.